4th October, it is an ever-unforgettable day for EPPP! ( That's our 3 piece band name:)) Mayu, one of band members, told me that the next day must be Hiromi's birthday! (another one of EPPP)! 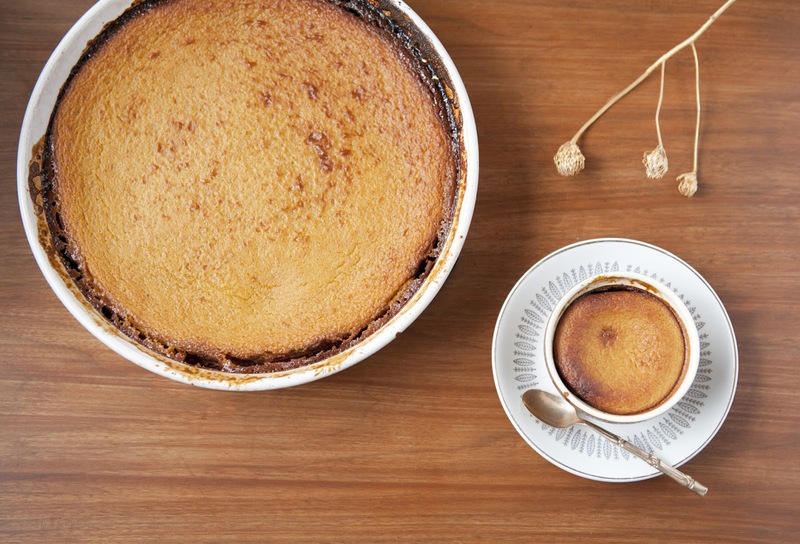 So we started to plan a surprise birthday for her, and I made some pumpkin pudding. Next day, Mayu and Hiromi were shopping at a sportswear store where I was hiding from them in front of the building holding the pumpkin pudding in my arms, as I contacted with Mayu to see the right time for surprise. Finally they came out from the store, then Mayu and I started singing "Happy Birthday to you~♪" to Hiromi! We expected to her surprising reaction. Be careful to cut off the hard shell! Preheat a oven 170℃. Cut off the kabocha squash into bite-size, steam until soft. Peel and mush. 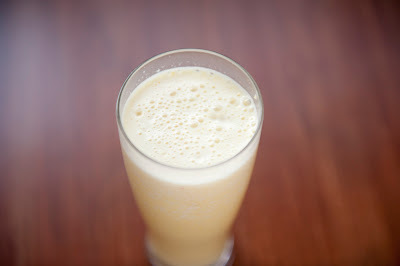 In a blender or a food processor, mix the mush squash, golden sugar, milk, eggs, soy milk, and spices until smooth. To make caramel sauce, heat a milk pan with golden sugar and water. After the color changed brown, add hot water to stop burning. Then, pour in a casserole and the pudding mixture on it. Bake at 170℃ for 50 minutes in the oven. 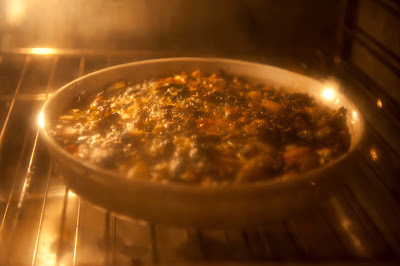 It was my second time to cook swiss chard, which is unknown vegetable in Japan. 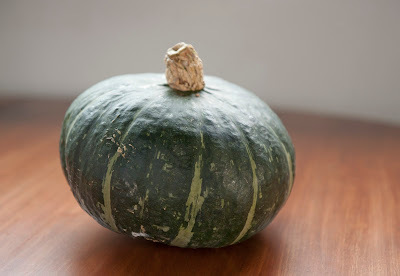 This is very common as a nutritious vegetable in Canada. 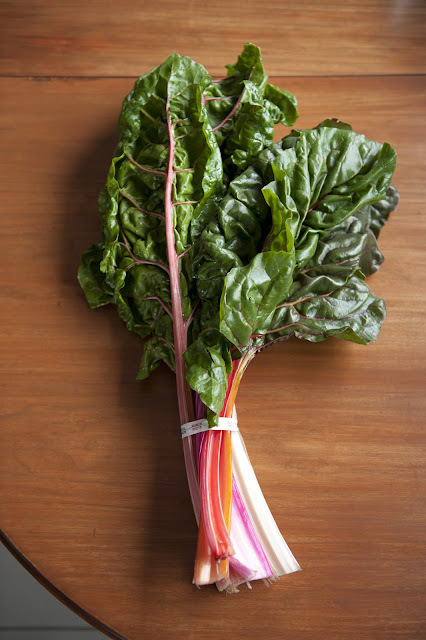 Rainbow swiss chard, you look amazing! If you use dried beans, soak the beans overnight in water, then rinse and boil it to soften. Chop swiss chard and potato into 1cm, mince onion and garlic. 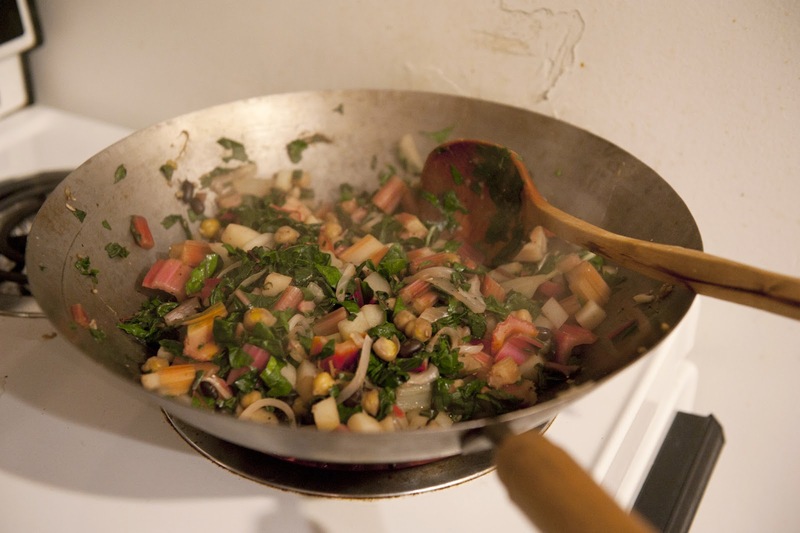 Heat a pan with olive oil, put garlic, onion, stalks of chard, and potato, sprinkle salt and pepper. Saute those until done, add leaves of chard, black beans, and chick peas, saute about 5minutes. Preheat oven to 380˚F / 190˚C. 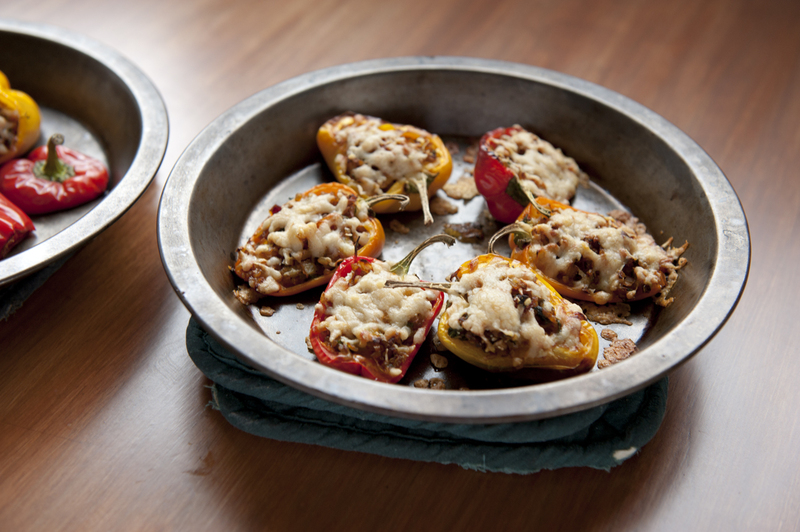 Beat eggs in a bowl, add ground gruyere cheese, and mix together with the filling. 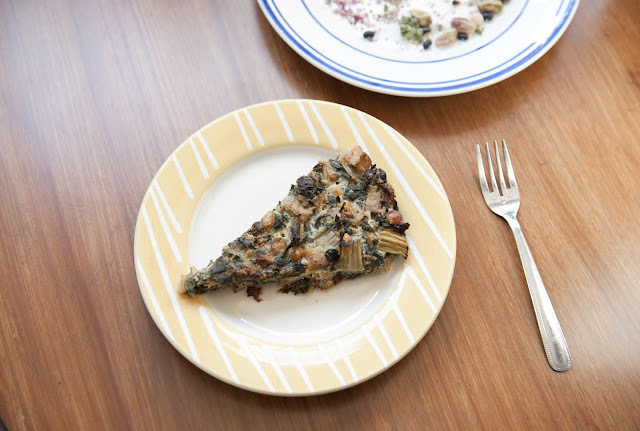 Pour the mixture into a casserole, sprinkle rosemary, and drizzle olive oil on it. 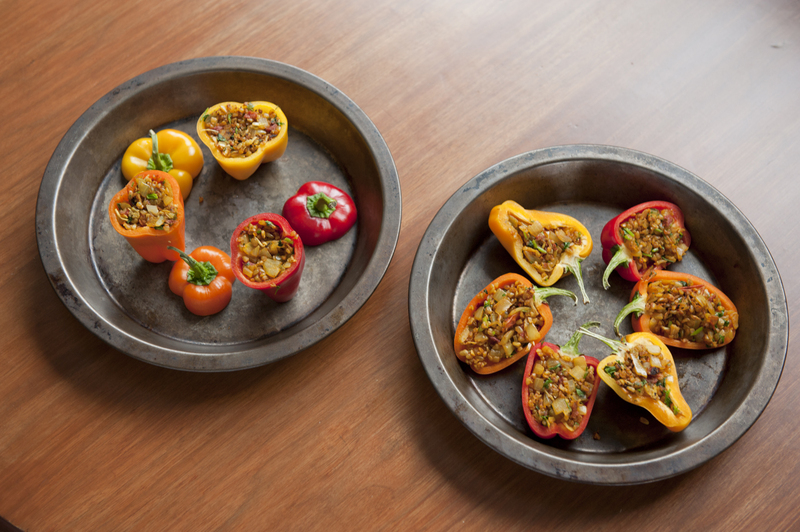 In oven, bake it for 40minutes. 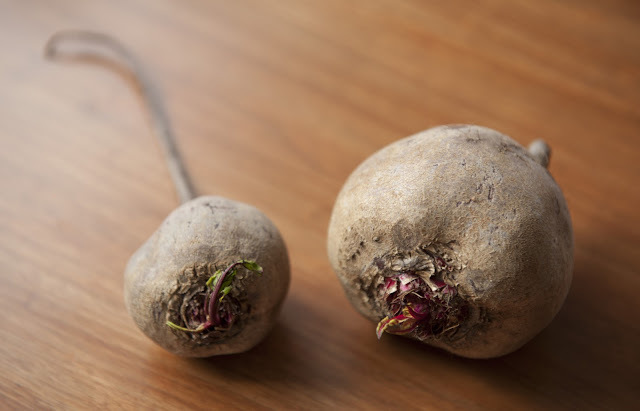 Beets.....I had never done this strange roots in Japan before came to Canada, though I knew there exist special sugar which is made by beets. 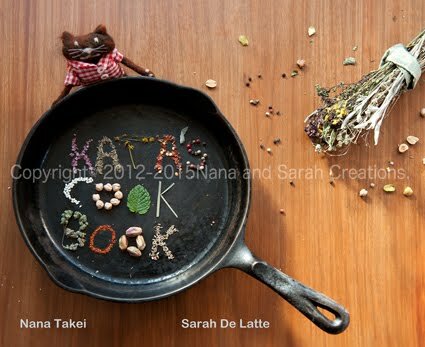 Actually, I tried to cook with the sugar several times, that's all I had experience with them. But finally, I got two organic real ones from Farmers market at UBC! 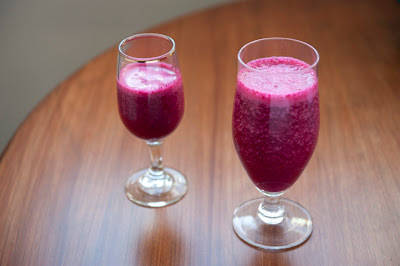 My friend told me that beets can be very good smoothie, I decided to make it. 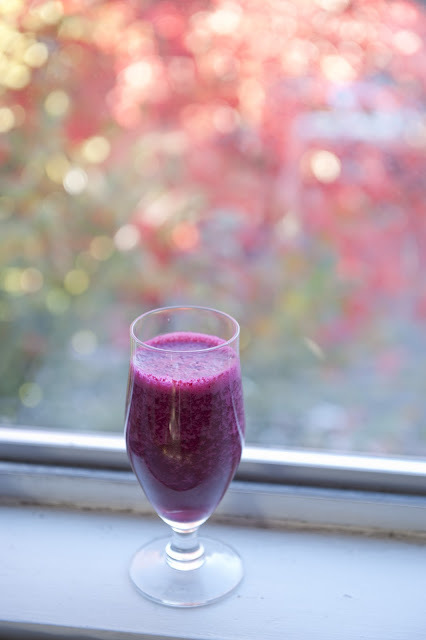 What a beautiful beet color! 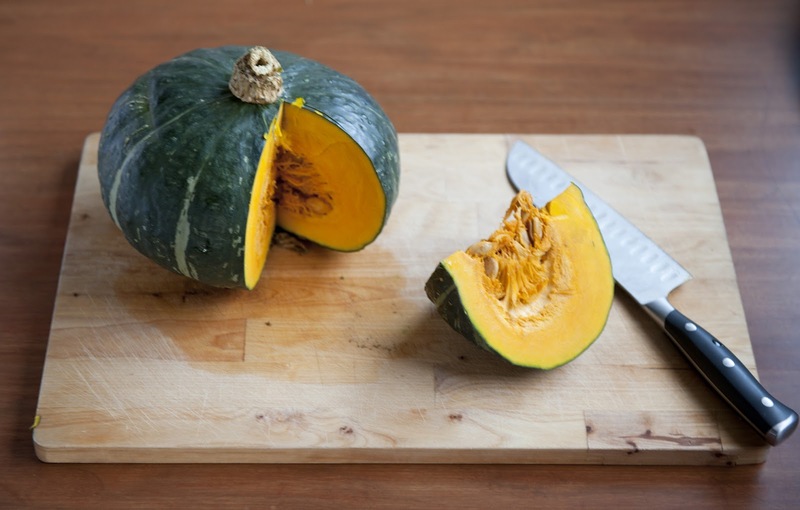 During cooking, the color will stick everywhere, be careful about your clothes and a cutting board. Add 1/2tsp lemon juice, if you like. 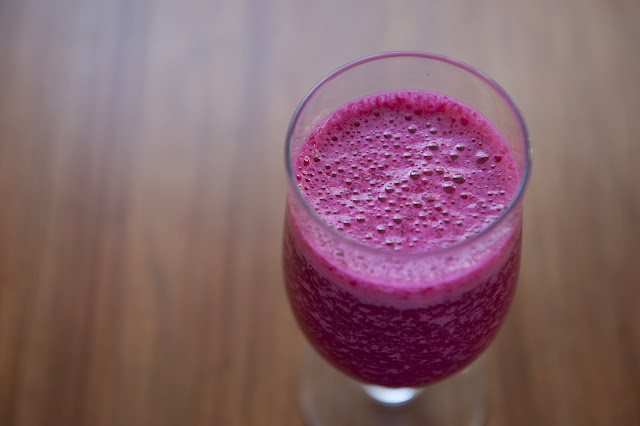 In a juicer, put peeled and cut beet, banana, soy milk, and maple syrup. Mix together. Bulgur wheat is a kind of dried cracked wheat. It's whole grain which is very healthy and nutritious. Furthermore, you can easily cook various food dishes with it. 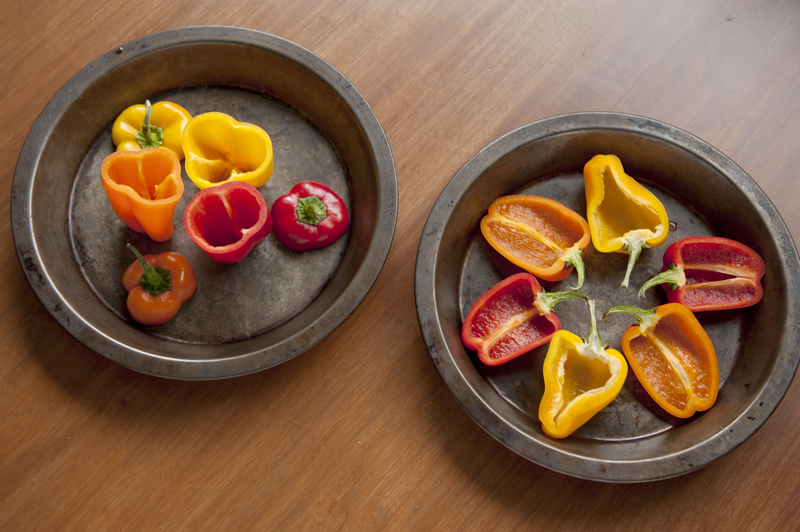 Cut peppers into halves lengthways. Preheat oven to 340˚F / 170˚C . Soak bulgur wheat in hot water. Chop onion and enoki. Mince garlic, ginger, sundried tomato and cilantro. Heat a pan with olive oil, saute ginger and garlic, and add onion and enoki. Saute until slightly browned. Put spices, sundried tomato, salt and pepper. 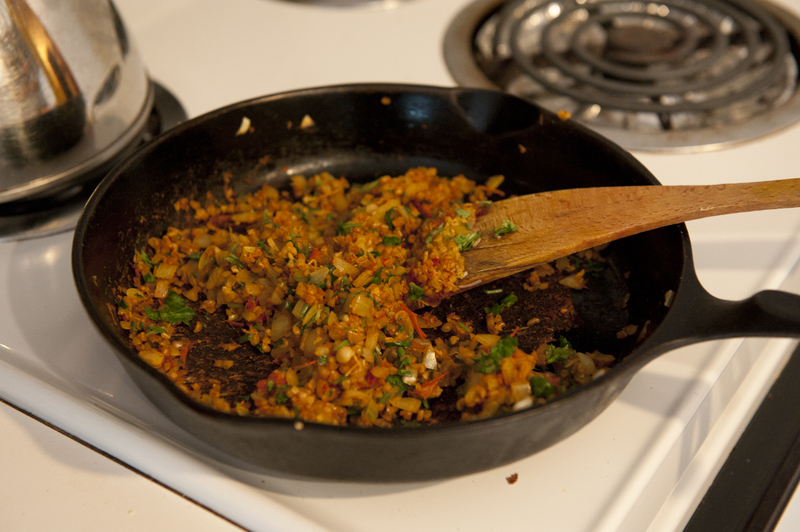 Then add bulgur wheat and cilantro together, saute until done. Fill up peppers with the mixture, sprinkle ground cheese on it, bake in oven for 20minutes. Pomegranate season just started. They're good for woman's body, and quinoa is known as one of the most nutritious grains. 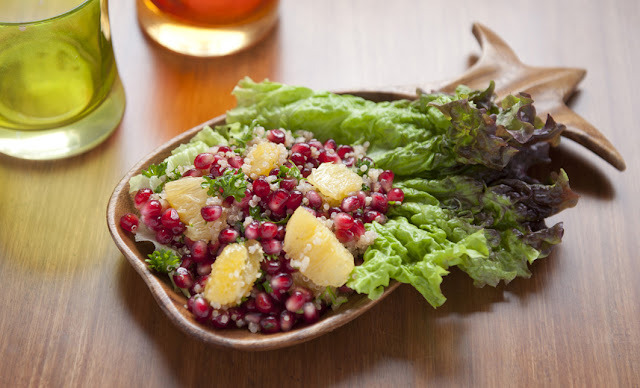 Enjoy different textures between pomegranate and quinoa in your mouth, crunchy and pop! 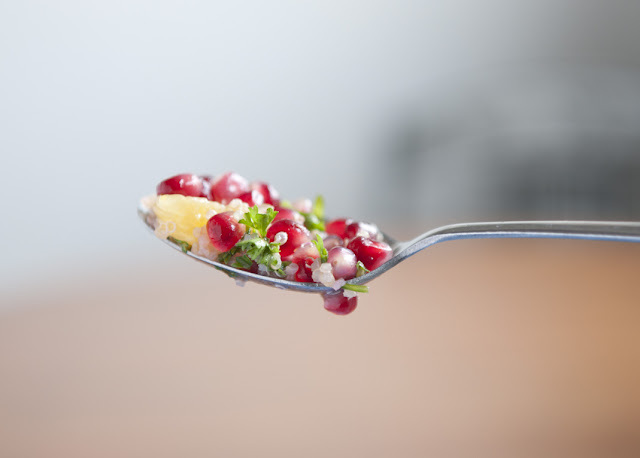 Cut and peel the pomegranate in water, clean the seeds. Peel the orange and cut into each section. In a bowl, mix lemon juice, olive oil, and minced parsley. 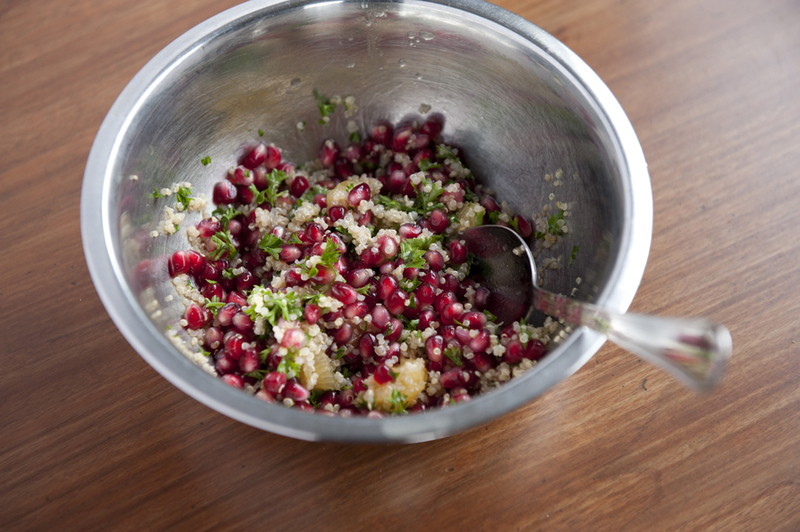 Add the pomegranate and cooked quinoa, sprinkle salt and pepper to taste, mix together. Arrange the salad on a lettuce leaf, and put the oranges on it. Pomegranate has strong colored juice, if you get the juice on your cloth or whatever, it is difficult to remove it. Open it in some water in a bowl to avoid to splash the juice. 1cup of dry quinoa turns 3cups of cooked quinoa! Rinse the 1 cup of quinoa well under water and put it into a saucepan with 2cups of water. Add pinch of salt if you like. 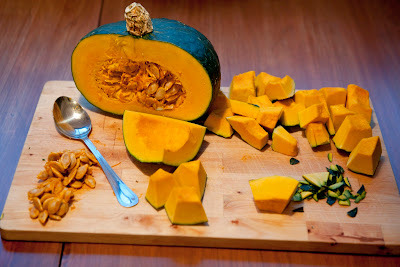 Cover and bring to boil, after it starts to boil, reduce heat to low. Simmer for 15mins until quinoa is tender. Find your favorite one! 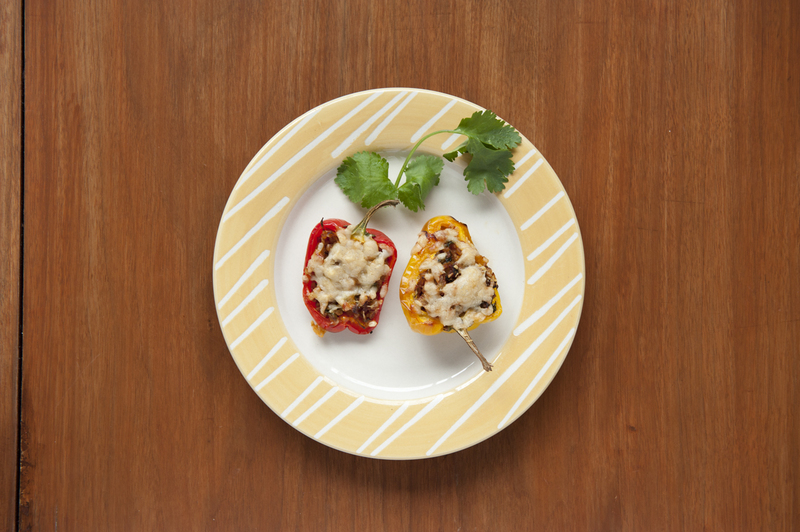 easy to browse from "Recipe box". Most of them were made by me in Vancouver, Canada. Nana Takei. Simple theme. Powered by Blogger.